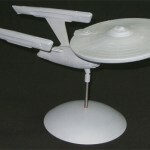 You are currently browsing the Collector Model blog archives for September, 2009. Sorry I haven’t posted for a while. Things are pretty busy in Round 2 land. 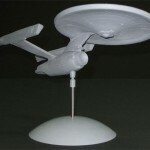 We are gearing up for our company preview in the Dallas Toy Fair as well a s iHobby coming up in October. I’m not sure whether I will make it to the show but everyone in the Chicago area will probably want to stop in and see what we’ve got coming up for 2010. 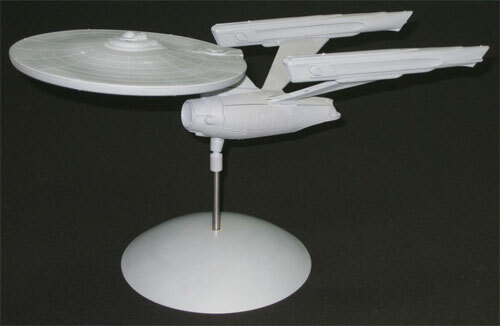 In the meantime, I just got in a revised mockup of our new Enterprise A Polar Lights model kit. 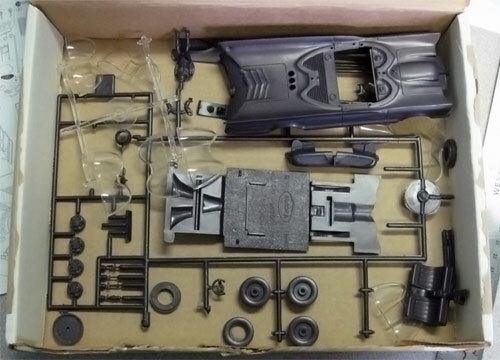 The tooling is already underway but we needed this copy made up for our iHobby display. (if we are lucky, we’ll have a test shot on display as well) It is going right back out to Jim Small to be built up and painted. The kit is really turning out nicely. Many of the detail revisions I’ve ordered have been made. Dealing with a kit at this scale has been pretty tricky because unless you see it first hand, you don’t really know what to expect detail wise. In addition to detail revisions (deflector dish and panel lines to name a couple), I also had a few adjustments made assembly wise. 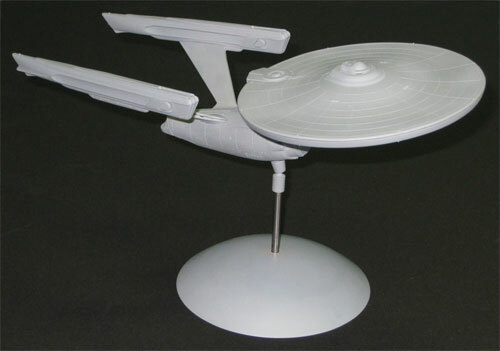 The nacelle grills on the previous mockup were assembled from the inside of the nacelle similar to our 1/350 version. I’ve had this changed so that they are inserted from the outside. This should help with painting I would think. The arboretum windows are the same way. Actually the only clear parts that insert from the inside are the pieces on top of the saucer. 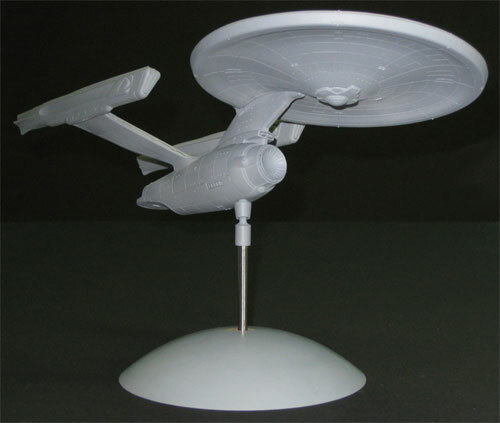 Another little change I made from the 1/350 kit was to have the chiller grills (I think that’s what you call them- the copper colored half football shaped grills on the sides of the nacelles) be made separate pieces as well so they can also be painted separately and inserted after all other painting is done. I hope this helps you guys out. 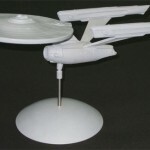 DISCLAIMER: One of the pylons was bent in shipping resulting in the nacelle sitting crooked. Also, some gaps look big in these quick photos. This is because the kit hasn’t been glued together. The gaps will easily disappear in the hands of a capable modeler. Oh, and the clear parts were incorrectly cast in opaque resin. Other than that, this is what you can expect in the kit. This arrived on my desk recently. Can you guess what this means?